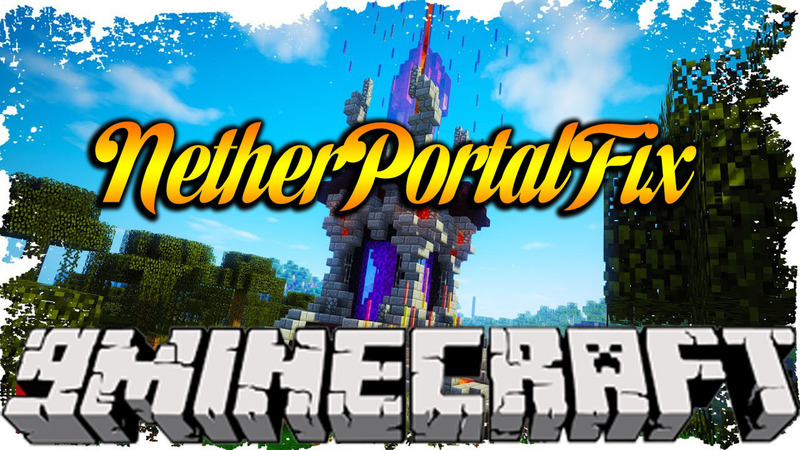 NetherPortalFix Mod 1.12.2/1.11.2 ensures correct destinations when travelling back and forth through Nether Portals in Multiplayer. Ever played on a multiplayer server, built near other players and when returning from the Nether, surprisingly found yourself in another player’s base? It’s because of the 8:1 block ratio between the Nether and the Overworld. It’s really weird though that you enter a portal in the overworld, and then when going back through where you came. come out of a different portal in the overworld. This mod fixes that issue. This mod only needs to be installed on the server (but it works in singleplayer as well).